The Dons Trust Board (DTB) held its regular board meeting at the Cherry Red Records Stadium on Thursday 10 May 2018. Ahead of publication of the redacted minutes, this article summarises the main points discussed. The meeting was attended by DTB members Matthew Breach, Mark Davis (Chair), Tim Hillyer, Sean McLaughlin, Nigel Higgs, Cormac van der Hoeven, Jane Lonsdale, and DT Secretary Tom Brown, Secretariat members Hannah Kitcher, Terry Langford and Andrew Howell. 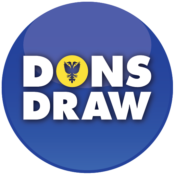 The Dons Trust Board (DTB) held its regular board meeting at the Cherry Red Records Stadium on Monday 9 April 2018. Ahead of publication of the redacted minutes, this article summarises the main points discussed. The meeting was attended by DTB members, Matthew Breach, Mark Davis (Chair), Colin Dipple, Roger Evans, Nigel Higgs, Cormac van der Hoeven, Jane Lonsdale, Charles Williams, Sean McLaughlin, Tim Hillyer and DT secretariat members Andrew Williams and Hannah Kitcher. The DTB welcomed to the meeting..